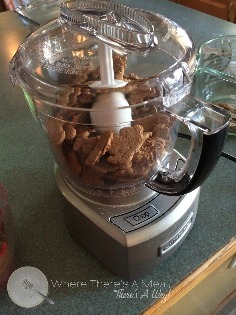 Chop 2 Cups of Ginger Snaps in a Food Processor until only small chunks remain. Combine crushed ginger snaps with 4 tablespoons of melted butter. 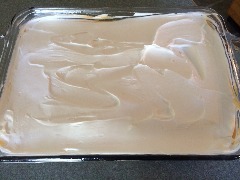 Spread the mixture in a greased glass baking dish. With your hands, make pumpkin ice cream patties and lay them on top of the ginger snaps crust being careful not to move the crust around. Repeat this process until you cover all of the ginger snaps with ice cream. 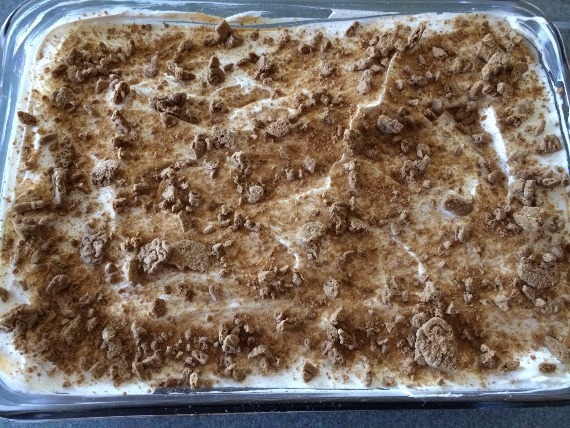 Cover the pumpkin ice cream with half a container of cool whip, spreading it evenly across the entire baking dish. After this you can sprinkle cinnamon across the top. Note: You can also crush up more of the ginger snaps and sprinkle them on top as well. From Out of Stock to a Dessert that Rocks! So I was preparing dessert for a group of friends and wanted to get everything in one stop. I had plans to make my Pumpkin Ice Cream Pie inspired by Sunni Sky's, but after looking around the grocery store, there were no premade graham cracker crusts to be found. What was I to do? 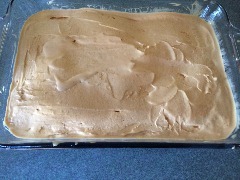 I wanted to make something with pumpkin ice cream and I began to think of what would go well with it. Then I saw a container of ginger snap cookies. After some imagination, I figured these would work and off I was to checkout. When I got home, I devised a plan to crush the cookies and make them into a crust. After a few minutes of preparation and some cold hands, I was finished and ready to freeze. When the pie froze back up, it was off to visit with some friends and the new version of Pumpkin Ice Cream Pie was a success! The ginger snaps provided a nice bit of spice to a delicious fall favorite. Looking to make a dessert and cannot find that one specific ingredient? Never fear, use your imagination and you may discover that where there's a meal, there's a way!